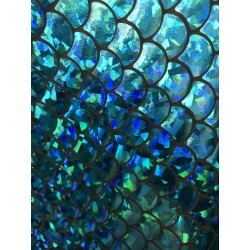 Amazing 4-Way Stretch Mermaid Hologram Spandex Fabric. 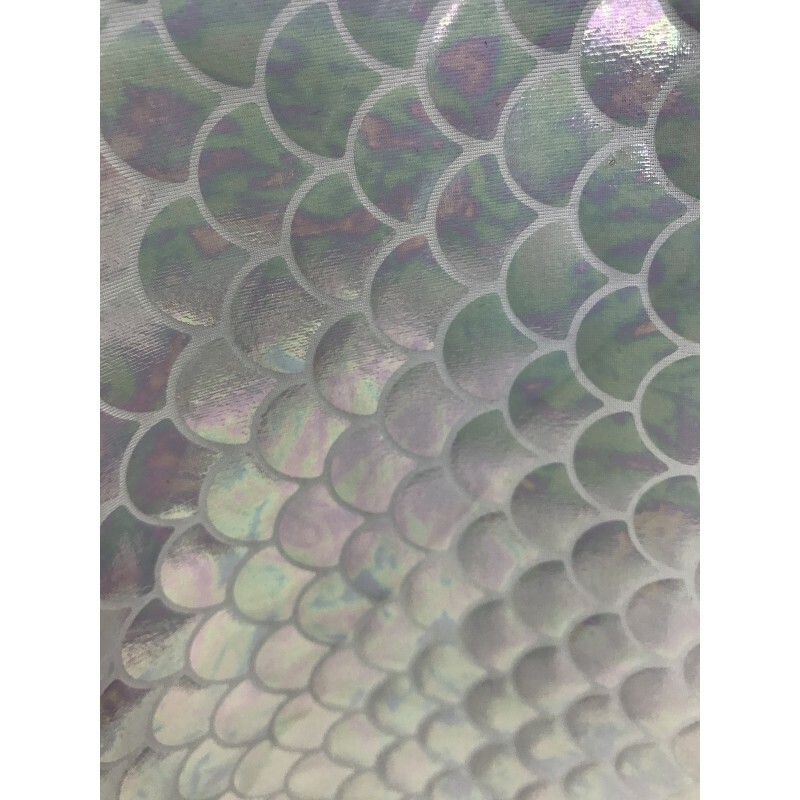 Metallic foil scales cover high quality Nylon/Spandex base fabric, with a great 4-way stretch. 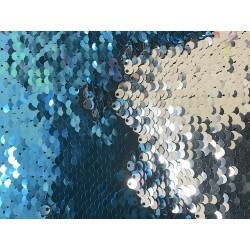 This material is ideal for apparel, leggings, swimsuits, cosplay, dance wear, and so much more.